Is Kindle Unlimited The New Netflix For Books??? Unlimited number of selected ebooks each month, exclusive titles by best selling authors. Over 600,000 titles, news releases may not be available. Children books with parental controls. Whisper Sync, a narrated ebook version, that allows the reader to switch from a narrating professional reader to text and back again, is available on select titles. MarkdowMom says for book lovers, it doesn’t get better than this and with a month’s free trial, what’s stopping you? Well, it’s all of the above and more. It’s English slang for rubbish or dirt. What a neat word? Think of all its’ uses! To get rid of grot in its’ physical rather than metaphysical form depends upon its’ source. 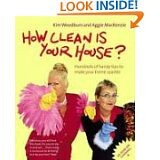 For all things grotty, find the answer in Kim Woodburn and Aggie MacKenzie’ s How Clean Is Your House, based on their TV series. They attack cleaning nightmares with vigor and green products often found around the house and costing loads less than retail counterparts. Find at Amazon for $15.57 +sh. These cold winter days and night provide the perfect condition to snuggle up with a book–that is if your not completely done in by coping with the weather. There are many books, but few lan take you out of the here and now with intrigue, fast pace action, and a taste of history. Allan Folsom, best selling author of The Day After Tomorrow and Day of Confession offers up a real page turner in The Exile. When a novel 702 pages long, you want to make sure that it’s worth your commitment–and this one surely is. This is action-packed suspense that grabs you and won’t let you go! The hero applies police acumen as he deals with a diabolically resourceful killer. Story begins in L.A., but jumps into international intrigue, and leaves you wanting more from this talented author. Worthy of being made into a movie, your choice is whether to read the book now before the movie or after! At Amazon, reg.$25.95, now in paperback for $7.99. Cheaper Than A Movie Ticket !!! Flea Market Style is a new magazine making its’ debut this Spring. 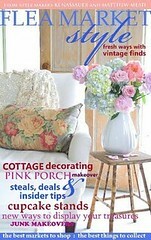 It promises to be jam packed with tips, repurposing flea market finds, and decorating. It’s such a new fledgling enterprise that you will be on the ground floor with its’ first issue! Check your favorite WalMart, Barnes & Noble, CVS, Target and other outlets, or check its’ website, $9.95. Yesterday, Julie Edelman, aka The Accidental Housewife, appeared on the Rachael Ray Show to introduce products to help save time and make that Spring Cleaning easier! Paula Begoun, often referred to as the Cosmetic Cop, and author of bargain substitutions for pricey cosmetics, has launched a radio talk blog. This site gives a listing of the full range of topics she will cover and the airing schedule. 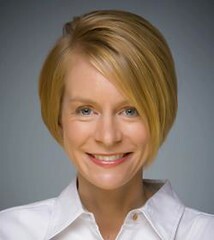 Mommysavers Author On Showcase Minnesota Today! 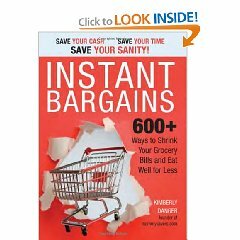 Instant Bargains 600+ Ways To Shrink Your Grocery Bills and Eat Well for Less. At Amazon reg.$12.99, sale $9.35. The ‘Coupon Mom’ went on the Today Show this morning and showed the hosts how she was able to purchase $100 worth of groceries for only 25 cents. Her handy tips will help you save money every time you go to the supermarket. Does the store double or triple coupons? Does the store accept competitors’ coupons? Print legitimate coupons from the Internet. Dairy: Use the store brand. Meat & Poultry: Go with the front page sales. BUY the BOOK: Reg. $15, at Amazon $9.00. Unauthorized Biography On Martha Explains A Lot! Every so often, tv viewers see little glimpses of another Martha on her television hit The Martha Stewart Show. 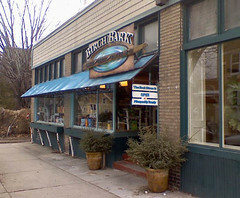 A word slips out like “turd,” undercover forays to competitor shows, terse reminders that a member of the staff/crew has forgotten a utensil or something was not prepared correctly, the repeated emphasis on guest Lindsay Lohan being young and wanting to have fun and “play,” or the apparent awkwardness sensed when cooking with children. These moments, admittedly are few, seem out-of-character with the persona that Martha Stewart likes to present to her viewers and followers. 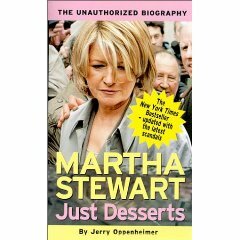 They are until you read Jerry Oppenheimer’s Unauthorized Biography of Martha Stewart called Just Desserts. Even her trial and conviction for insider trading seems to fit into the portrayal by Oppenheimer of an obsessive, avaricious, egocentric personality. Her attributes seem to be that of a modern day Svengali. Whether you view this book as another sensationalized piece of mudslinging or insightful, it is an entertaining book that you will find hard to put down. Because this book has been around, you can purchase it a a bargain price.